At Columbia River Endodontics, we provide Kennewick, WA and the surrounding community with quality dental care and apicoectomy procedures. If you are experiencing any tooth pain or swelling from a root canal or root canal retreatment, contact our office immediately. 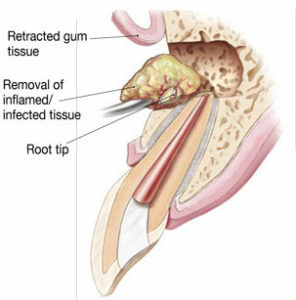 Depending on where the tooth is located, there is a possibility of additional risks including infection of the sinuses. We understand the importance of maintaining proper oral health. One of our knowledgeable dentists will provide you with the information you need to make a better informed decision about your treatment options. Your oral health is our priority.